One of the most talked-about beauty gurus is Jeffree Star. Most of the time, this discussion isn’t entirely positive. Star was first seen in the days of Myspace as a singer and performer, going on to become a part of Warped Tour. 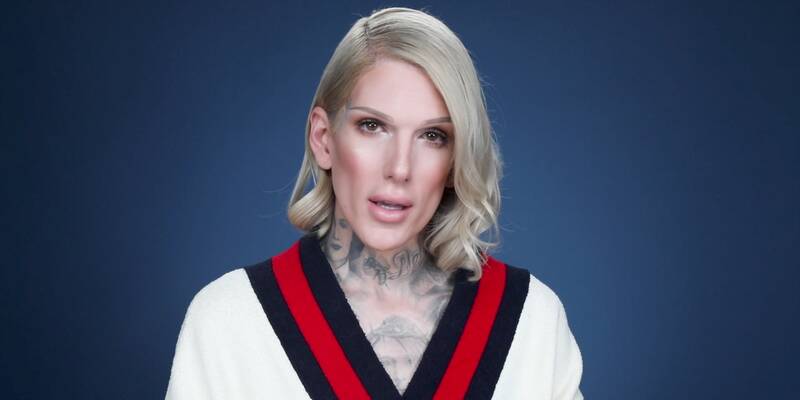 Jeffree has been problematic since then, stating in one of his songs, “We Want C*nt”, that “N****z on death row request me for their last meals.” He then began diving into the world of beauty blogging on YouTube and instantly climbed to stardom. This fame led to the establishment of his cosmetics line, Jeffree Star Cosmetics. The brand is praised for their high quality highlighters and liquid lipsticks. In the beginning, I bought into the hype of these lipsticks and bought a few. I loved them at first, but then realized they tasted extremely metallic and also stained my lips. I tried to blind myself from the drama surrounding Jeffree, since I didn’t think it mattered. The first controversy I experienced with Jeffree was his infamous conflict with tattoo artist and makeup icon Kat Von D. The feud started when Kat Von D called out Jeffree for not paying an artist he was working with. She posted the screenshots of their texts, ending Von D and Star’s longtime friendship. The texts stated that Star had asked an artist to draw designs for the logo of his makeup brand, and once he got the ideas, he took them as his own and stopped working with the artist. Von D then continued to post on social media about the incident and the two became meddled in an online feud. Many people took sides, though I remained neutral. I was still trying to convince myself that Jeffree was a decent person since so many people loved him. Later on, I realized that this mindset is entirely awful-- a person or company’s behavior matters when buying their products. Star is also notorious for being very, very racist. Recently, he made a video addressing his racist remarks from ten years ago, stating that those were in the past and that he should be forgiven. Such remarks aren’t only from the past, though. Only a few months ago, Star called black beauty guru Jackie Aina a rat, and threatened to beat MakeupShayla after calling her a man. In the video, he doesn’t apologize to those he has hurt, but only to his fans, who remain blind to his racism and misogyny. There have been countless accounts of Star making misogynistic, racist, and transphobic comments, none of which should be forgiven. No matter how much evidence is shown of Jeffree Star’s problematic behavior, many makeup gurus, influencers, and viewers still seem to support him. Most recently. Kim Kardashian-West posted a video defending his racist comments, which made even more viewers believe his actions to be justified. There are many amazing male makeup artists and gurus out there; Star does not deserve to be exempt from the punishments of his racism, transphobia, and misogyny just because he is a male that wears makeup and defies society's gender roles. A person should never be able to get away with harsh comments and actions, no matter how famous or wealthy they may be. Jeffree Star is no exception to this rule, and there is no real reason to still support his behavior. Undoubtedly, you can get a basic and professional makeup lesson if you want to start up your career as a blogger. Recently, I opened my own studio, I did my courses from Lina Cameron. She is so good in this line, and professional as well. This lessons helped me a lot to improve myself.